Utah Canyon and River Trip, May 2009. This trip had three parts. First Rosie, Kay, and Pepi climbed canyons in the Robbers' Roost area with Matt Moore of Desert Highlights. Then Rosie & Pepi were joined by spouses Bob and Jason and two friends, Gregg & Laurie, to raft the Yampa River which was very high, flowing at 18,000 (led by Sherri Griffith Expeditions). 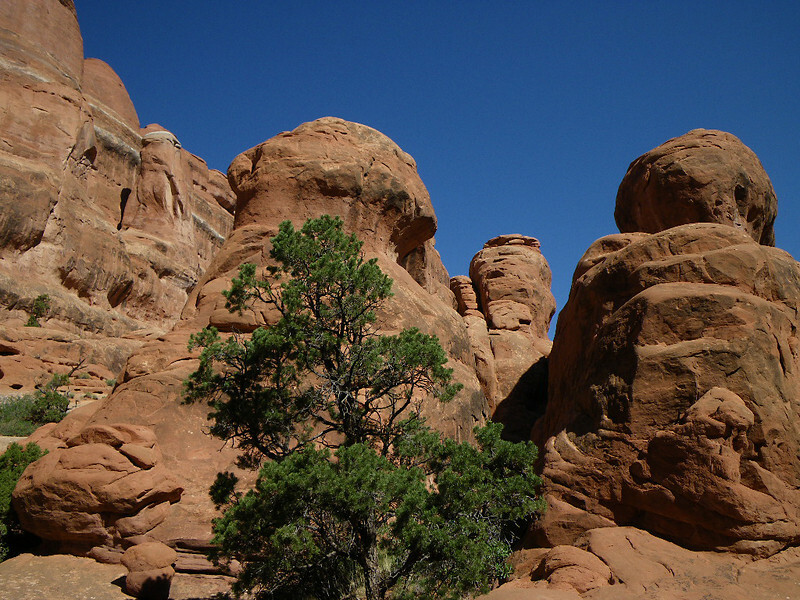 Last, Jason & Pepi climbed 2 canyons in the Moab area with Ed and Herb of Desert Highlights.